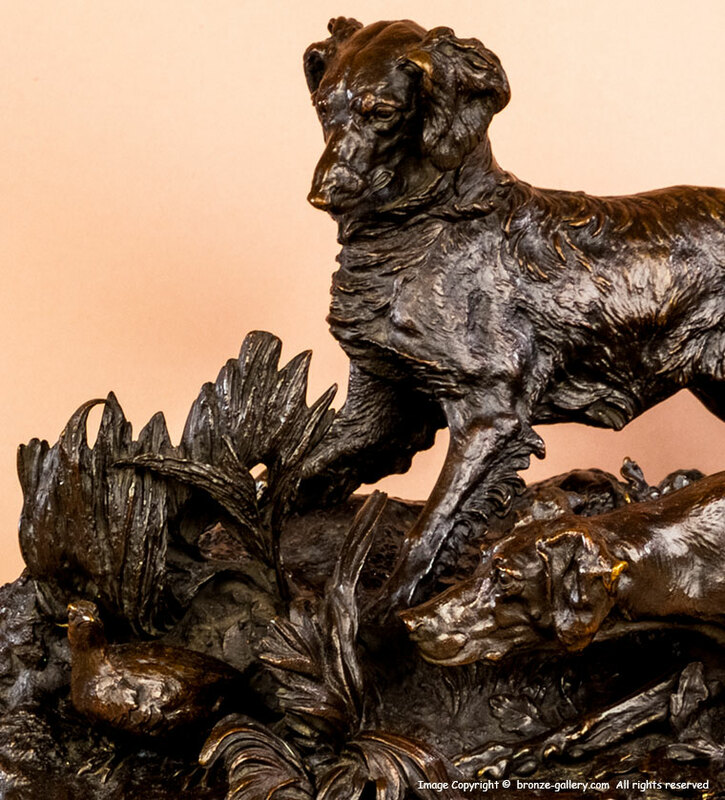 Mene created many sculptures of hunting dogs in his career but none are as well done as this model of a Setter and a Pointer frozen on point with a Partridge hidden in the brush in front of the dogs. The tension of the hunting dogs as they eye the game bird is superbly shown, one almost expects the bird to flush and fly away. 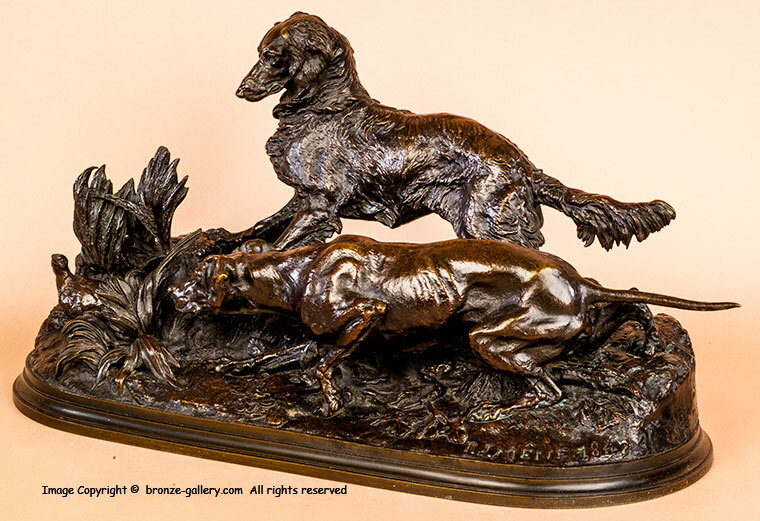 The title of this work is Chasse A La Perdrix or the Partridge Hunt, it was a popular model and was cast by Mene for some years and also by his son in law Cain after his death. Unfortunately there are also many newer copies on the market as well but these lack the sharp cast details of the originals and are usually mounted on a marble base. 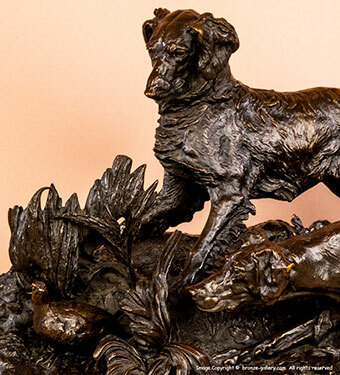 Our bronze offered here is a superb bronze that is one of the earliest casts since it is both signed and dated 1847 on the base. It was cast by Mene in his own foundry and has the highest level of finishing and detail. The model is no. 25 in Mene's catalog and was exhibited in the 1848 Paris Salon both in wax and the next year in bronze. 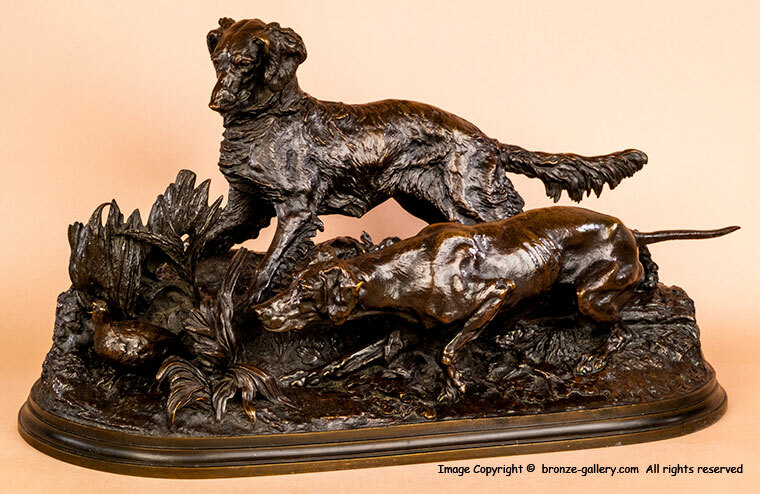 The hunting dogs in this sculpture are Sylphie the Setter and Tac the Pointer, both appear as single models. 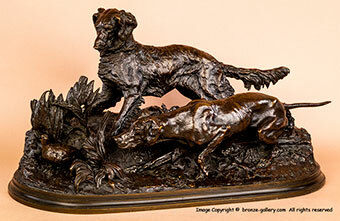 Chasse A La Perdrix was also done in cast iron by Coalbrookdale in England in the late 19th century. A large handsome piece that captures the pair of dogs working together to find a game bird.